How do expert teachers do it? How do they enhance student learning? How do they manage the dilemmas and tensions inherent in working with 25 different students in every lesson? Internationally respected teacher educator John Loughran argues that teachers’ knowledge of what they do is largely tacit and often misunderstood. In this book, he distils the essence of professional practice for classroom teachers. Drawing on the best research on pedagogy, he outlines the crucial principles of teaching and learning, and shows how they are translated into practice using real classroom examples. He emphasises that teaching procedures need to be part of an integrated approach, so that they are genuinely meaningful and result in learning. Throughout, he shows how teachers can engage their students in ways that create a real ‘need to know’, and a desire to become active learners. 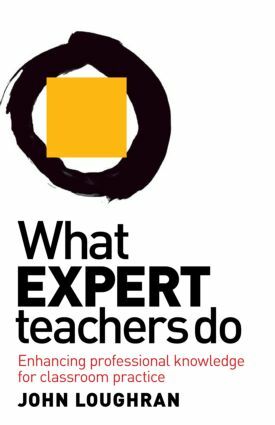 What Expert Teachers Do is for teachers who want to become really accomplished practitioners.